Mario Cimoli is the Deputy Executive Secretary of the Economic Commission for Latin America and the Caribbean (ECLAC). He was appointed in that position on August 1st, 2018. He is also Chief of the Division of Production, Productivity and Management and Officer-in-Charge of the Division of International Trade and Integration. He is the co-chair (along with Giovanni Dosi and Joseph Stiglitz) of two of the task forces (industrial policy and intellectual property right regimes for development) of the Initiative for Policy Dialogue at Columbia University (New York). A PhD in economics from the University of Sussex, his research deals with development paths, economic growth and its relationship with the productive structure, and international trade. His work examines the interconnections between industrial policy, technological development and innovation. 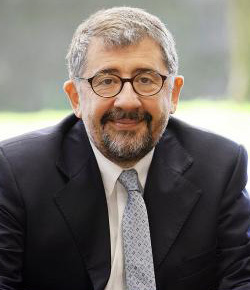 His most important publications include Learning, Technological Capabilities and Structural Dynamics (2011); Innovation and Economic Development: the Impact of Information and Communication Technologies in Latin America (2010); Industrial Policy and Development, The Political Economy of Capabilities Accumulation (with Dosi, G. and J. E. Stiglitz, 2009); and Institutions and policies in developing economies (with Dosi, G., R. R. Nelson, and J. E. Stiglitz, 2009).